This competitively priced electric shower offers exceptional value for money with a contemporary, simple, yet sleek design. 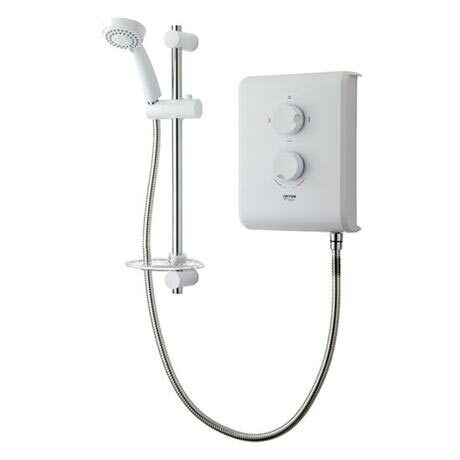 To aid installation the shower features a 180° fully reversible swivel water inlet that accommodates water connections from either the left or right hand side. The shower is complemented with a matching riser rail and handset.